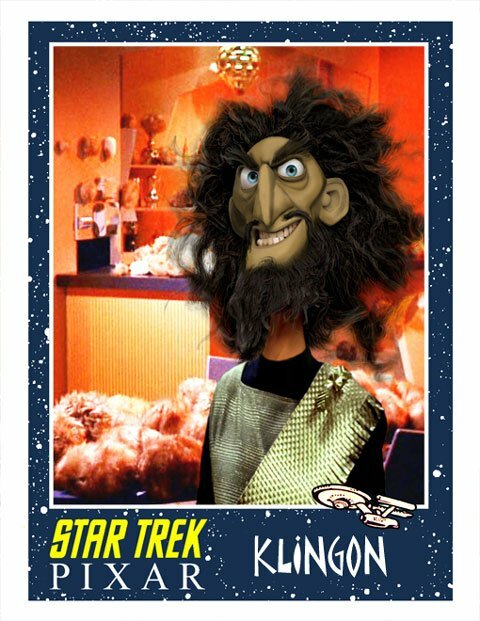 What Would It Look Like If Pixar Made A Star Trek Movie? The world was shocked late last year when The Walt Disney Company acquired LucasFilm for $4.05 billion and announced that they would be making a new trilogy of Star Wars films. But what if the studio also purchased Star Trek, and, what's more, handed it over to the geniuses at Pixar? Well, then we might get something like this. 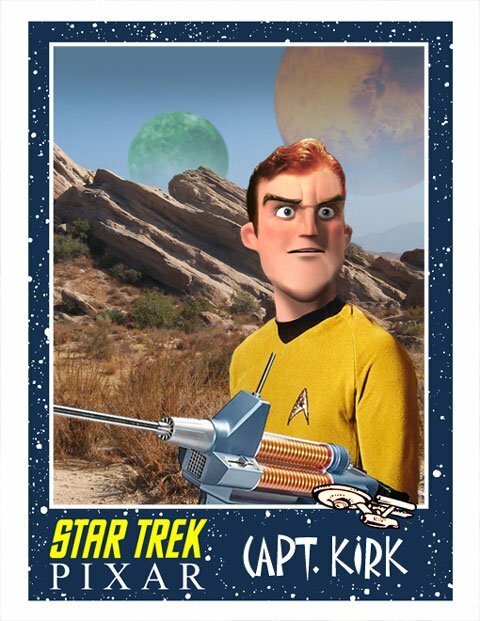 Artist Phil Postma has launched a new series that answers the age old question of what it would look like if John Lassetter and company were to boldly go where no man has gone before. And the results are pretty damn awesome. Check out some of the mock-ups below. Some of the designs have more than a passing resemblance to previously designed Pixar characters (that Klingon is pretty similar to Brave's Lord Macintosh, no?) but overall these are wholly awesome and definitely capture the spirit of Gene Roddenberry's classic characters. 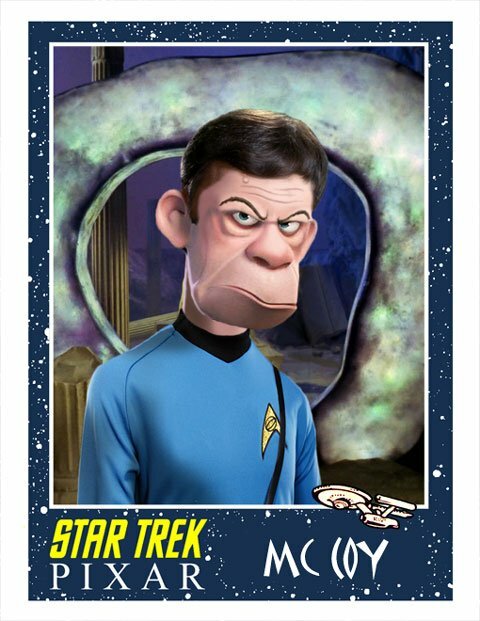 I would definitely recommend heading over to Postma's website Minion Factory (via Giant Freakin Robot) where you can not only see full-size versions of the images posted above, but also a full gallery that also includes entries like Romulans, Cherons, Andorians and even an Orion Slave Girl. 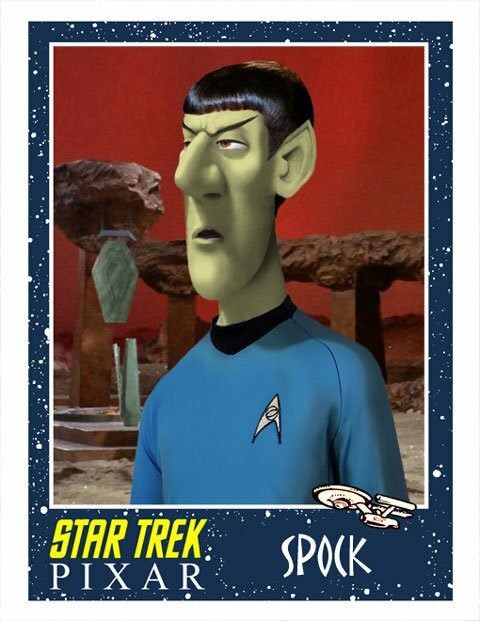 I must say that I've always been curious about the idea of Pixar taking on a pre-existing property like Star Trek. I love that the studio is so dedicated to original ideas, but could you imagine a Star Wars or Marvel Studios movie being made by the master storytellers up there in Emeryville, CA? Even if it were just an experiment - like a short or simple test footage - that would be something cool to see.